Omoya Shuzo Brewery: Sake and shochu brewery with a long history in Iki. Barley shochu originated from Iki. Iki shochu and Iki sake. Omoya Shuzo Brewery has revived sake brewing in Iki. the brewery succeeded in making top-quality sake. dry flavor and full-bodied aroma complementing each other. shochu made with state-of-the-art equipment. Since the flavors are different, try both and see for yourself. You can discover a shochu to your liking. We also have sake with different alcoholic strength. Pick the one that suits you. Iki is where barley shochu originated. On this historic island, our brewery uses rice and barley grown in Iki to produce barley shochu. We make barley shochu by hand using traditional techniques to produce a sophisticated umami flavor. 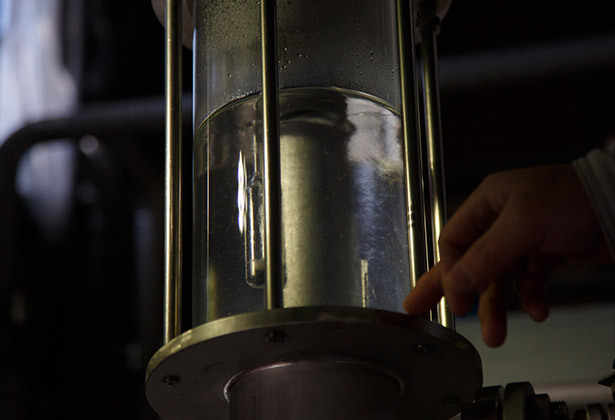 We also make shochu with the latest equipment to produce a clear and sharp flavor that is not reproducible by hand. 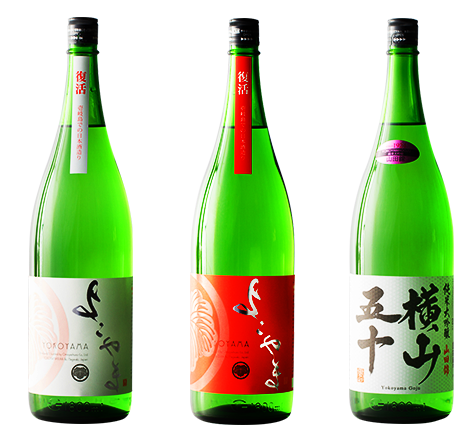 While retaining the traditional techniques established by the founder, Omoya Shuzo Brewery also employs new technologies to expand the possibilities of barley shochu. Koji-making is the process of converting the grain's starch into fermentable sugars. Steamed barley is cooled, and koji-kin mold spores are sprinkled evenly onto it. Then, for 40 to 42 hours, the brewer stirs it carefully until the koji is made. Distillation, as its name suggests, is the process of making the liquid concentrate of shochu by distilling it. First, finished moromi (shochu mash) is put into distillation stills and boiled to form the above concentrate, which has alcohol. Next, the steam is cooled in a tank linked to the steps ahead. The liquid that is created is liquid concentrate shochu, the essence of shochu. The freshly distilled liquid concentrate has a great deal of unnecessary oil content. Getting rid of it requires "preservation work." This is the last process before shochu is made. If you get oil on your hands, it comes into contact with air and oxidizes, releasing an unpleasant smell. For that reason, preservation work must be done over and over while the shochu is in storage. Iki provides sake that is beloved around the world. Making the sake that once disappeared from Iki. We started our brewery because we wanted to use this island's water and rice to revive the sake that was once produced here. First, we trained to make sake, then searched for quality water on the island. After trying to grow Yamada Nishiki rice on Iki and other trials-and-errors, we finally produced the best sake. Our sake is so full-bodied and fruity that it is like biting into a fruit. No cuisine can beat the first sip of our sake. 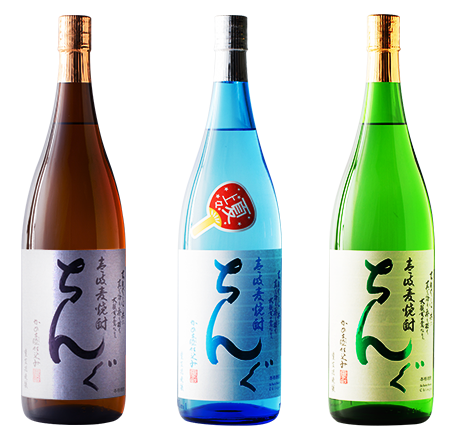 Iki offers sake that is enjoyed in Japan and around the world. Rice cannot be used as is to make sake. to make sake. This process is called rice polishing. over half of the rice is polished to remove the bran. Rice washing is, as its name suggests, the act of washing rice. Washing rice after it has been polished removes the rice-bran fragments left on the surface. After that, rice is put in a rice steaming pot and steamed, turning it into a gelatinous starch. This is a process called "rice steaming." Through it, an environment is created in which yeast cells can multiply easily. the most important step in making sake. humidity in which is carefully controlled. until the process is complete. lactid-acid bacilli without any bacilli. it is the "mother of sake." 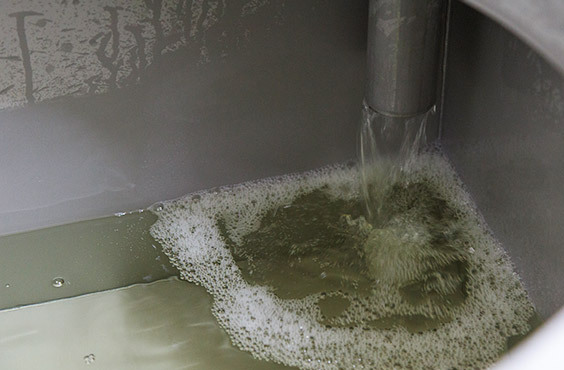 This is the end product of combining koji, made through careful control; shubo, made with diligence; polished rice; and high-quality water for making sake taken from Iki. In order to properly ferment it, the process is repeated three times.That is why it is called the three-stage fermentation process. compression, which separates out sake lees from refined sake. Pressure is added and the two are carefully separated. The finished refined sake is left to sit for several days. removed - is done, and after this the sake is filtered. the activity of yeast and bacillus, and the sake is finished.